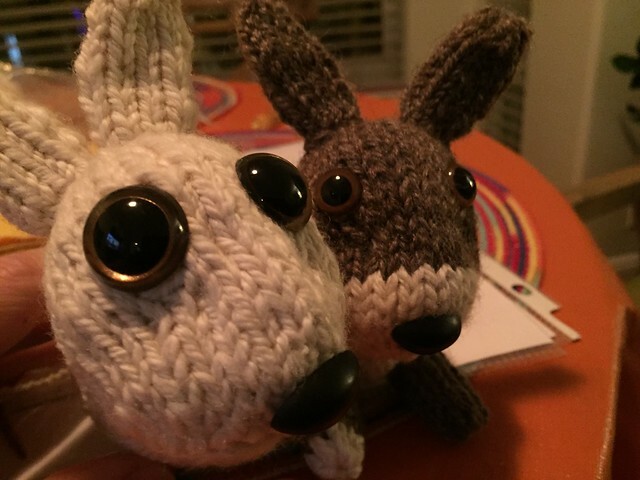 This pattern is Dutch Rabbits by Rachel Borello Carroll. Happy New Year 2016! I have been very busy with personal stuff that has taken me away from my blogging, and pattern creation . I am in the process of finishing a scarf pattern, but it will be a while, before I finish the scarf and take pictures. The scarf still has a long way to go. 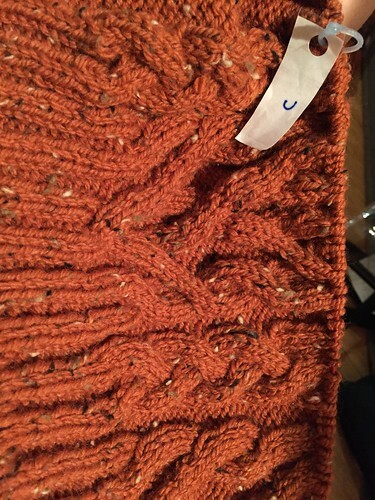 I am also working on a Cardigan that is very intricate and not for the faint of heart. Timberline by Jared Flood. I do not like Mr. Flood's yarn line, so I am making it in a different yarn. Well I will be coming back soon , thanks for stopping by!